Dr Edwin Basson, Director General with World Steel Association, visited SteelHome website on the afternoon of 21 May 2018. Mr.Wu Wenzhang, Board Chairman and President with SteelHome, warmly welcomed Dr.Basson’s visit. 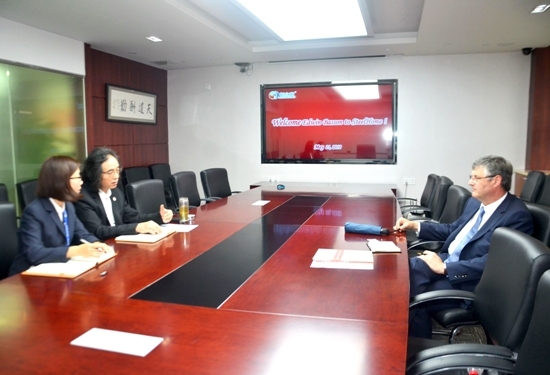 The two exchanged the views of following topics: China steel demand, EAF development in China, steelmaking cost at Chinese and global steelmakers, carbon emission requirement and China steel export etc.